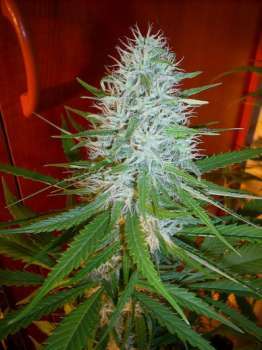 Here you can find a strain description about Santa Marta Colombian Gold and also some user-based reviews and infos directly from the SeedFinder (if available). You can also find the offers and auctions here if Santa Marta Colombian Gold cannabis seeds are on stock at MyCannapot right now. Santa Marta Colombian Gold IBL (inbred line) has been one of the genetic bases of many of the most popular strains of today. It is one of the dominant strains in Original Skunk #1, created by Sam the Skunkman. This is the same old school strain many of us grew up on as young stoners. Santa Marta Colombian Gold IBL is a long flowering pure landrace sativa strain that produces soaring highs with a lemon hash/cat piss flavour. It's a great daytime strain and it does very well indoors and outdoors. This generation was selected from thousands of plants. Santa Marta Colombian Gold is good for pain, stress or insomnia. Also good for PTSD, ADD and ADHD. Flowering period is 10 to 11 weeks. Santa Marta Colombian Gold is not available at our shop at the moment!